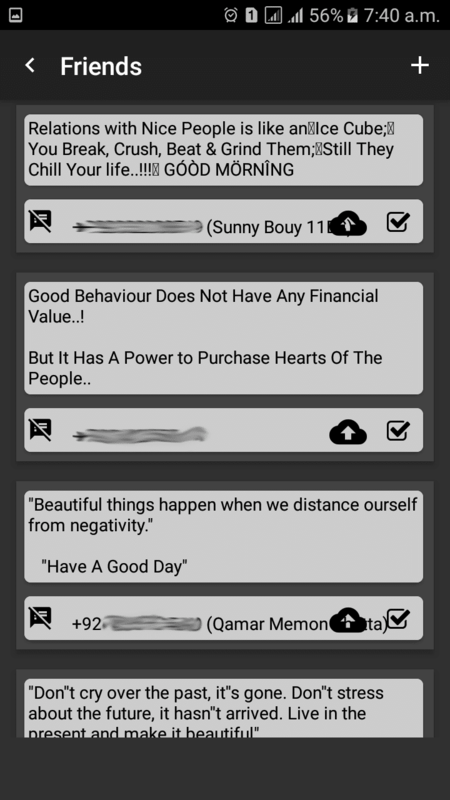 Smart Reminder and Notifier has a great feature to send scheduled group messaging. 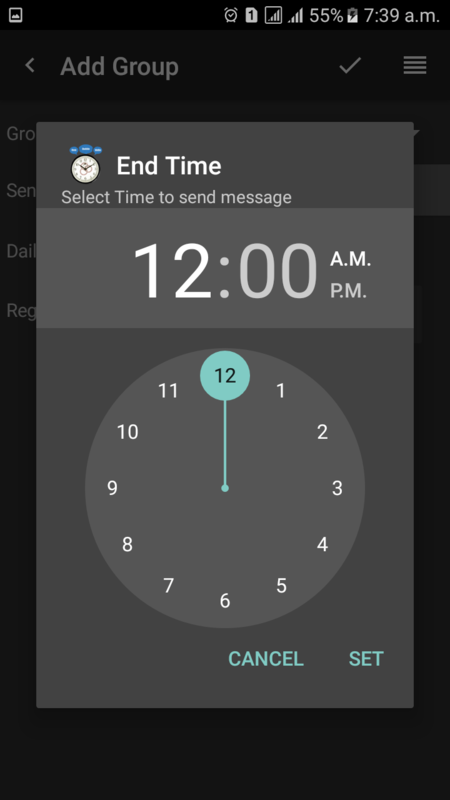 The messages will be sent automatically to defined groups at a scheduled time.The user can use android’s built-in groups and schedule them. 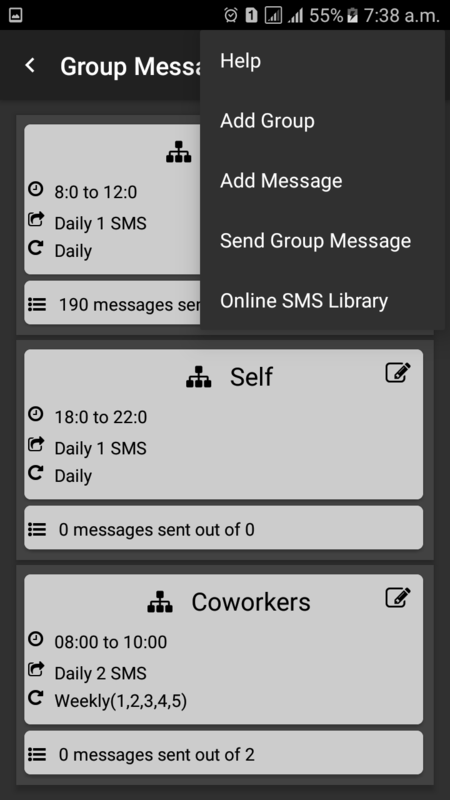 The user can use android’s built-in groups and schedule them. 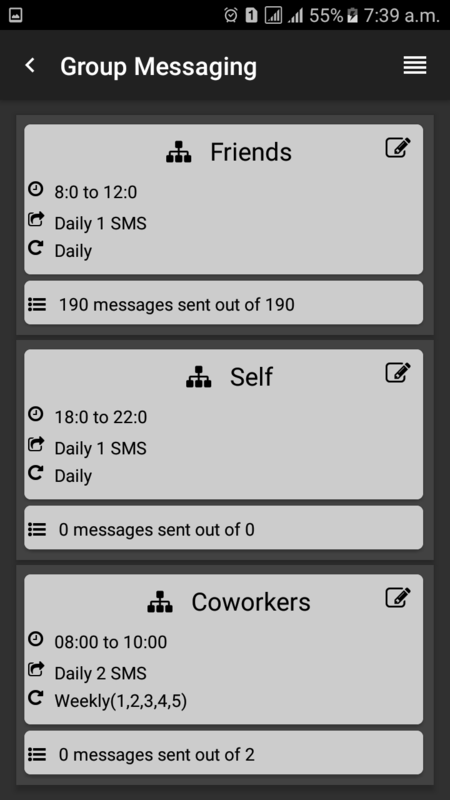 This app offers to schedule number of messages to be sent and also either to send daily or weekly basis. If you don’t already have any group in android’s contacts, then create one and add peoples to it, whom you are interested in sending group messages. Open Smart Reminder and Notifier and click the button () on Top Right. If you do not find your desired group, it is either hidden or it does not contain any member in it. To show hidden groups, select “Show hidden groups” in Options. If you want to send multiple messages to the same group then timing should have X hours gap, where X is number messages to be sent per day to selected group. 8. Once all set, Click the Button on Top-Right to add a group. 9. To add messages either click on the group and then select Add message (on top-right) or Select “Add Message” from here. Every time a new message from the list will be selected to send. Once all messages sent, the list will repeat from the start (the first message in the list) if the option is enabled in Options. Select Group and Enter text to send a message to all members of the selected group instantly. When adding a message or sending a group message, the app will automatically detect and add the number from where the similar or same message is received and the number is shown in “Except Contacts”. The user can delete the number from except contacts if he/she wants to send the message to that contact too. The numbers in “Except contact” will be skipped when group message will be sent. Excellent web site you have got here.. It’s difficult to find excellent writing like yours thrse days. It’s remarkabloe designed for me to have a website, which iis good foor my knowledge.